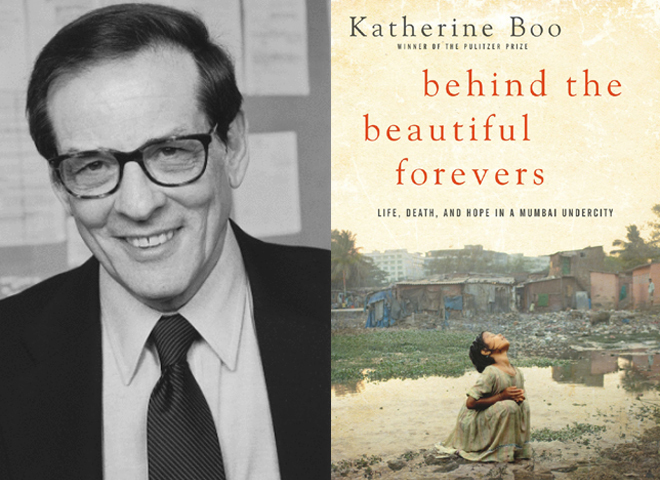 NEW YORK Robert Caro, Katherine Boo and the late Anthony Shadid are among the finalists for the National Book Critics Circle prize. Boo already won the National Book Award for her nonfiction account of a Mumbai community, "Beyond the Beautiful Forevers," while Caro was a finalist for his latest Lyndon Johnson book, "The Passage of Power," and Shadid for his memoir "House of Stone." Zadie Smith's "NW" and National Book Award contender Ben Fountain's "Billy Lynn's Long Halftime Walk" were among the fiction nominees. Thirty authors in six competitive categories were announced Monday, with stories set everywhere from Texas to London to North Korea. Some of last year's critical favorites were bypassed, including Junot Diaz's "This Is How You Lose Her" and David Nasaw's "The Patriarch." No cash prizes will be given to competitive winners, to be announced Feb. 27. But $1,000 will be divided between Sandra Gilbert and Susan Gubar, winners of the Ivan Sandrof Lifetime Achievement Award for their "groundbreaking work in feminist criticism." William Deresiewicz, who writes for The Nation and The New Republic among others, will receive the Nona A. Balakian Citation for "excellence in reviewing."